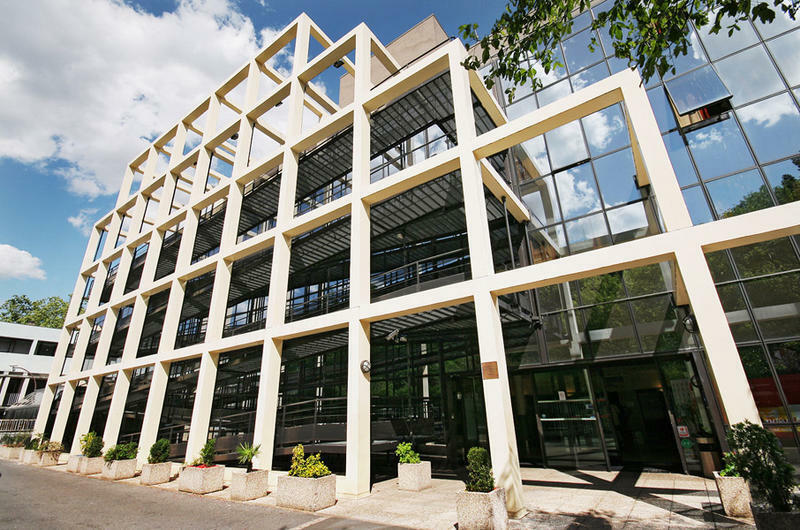 The Residence Internationale de Paris is located east of Paris, in an area offering tranquillity, as well as lot of bars, restaurants, concert halls and clubs (Fleche d'Or, Maroquinerie, Bellevilloise). 8 minutes walking from 2 metro stations (lines 3 and 9). You can easily reach center of Paris with a 15 minutes metro ride. Our 102 air conditioned rooms (1 to 5 beds) are all equipped with toilets, showers, satellite TV and phone, and you sure will enjoy a good and free continental breakfast before you start your sightseeing ! We will be happy to help you to relax and enjoy your stay in Paris, therefore we put at your disposal a concierge service, that gives you access to very interesting discounts on your tickets. Take RER B and stop at Gare du Nord. Then take the line 5 (direction Place d'Italie) and stop at Republique. Take the line 3 (direction Gallieni) and stop at Porte de Bagnolet. The stop is at Porte Maillot. Take line 5 (direction Bobigny) and stop at Oberkampf (Nice place to have a drink). Then take the sixth road on your right (street harpignies) and the first on your left (street : Louis Lumière). You are on our road. Welcome.